Multiple individuals with IP addresses from the U.S. House of Representatives were active on Wikipedia during yesterday’s Kavanaugh hearings. 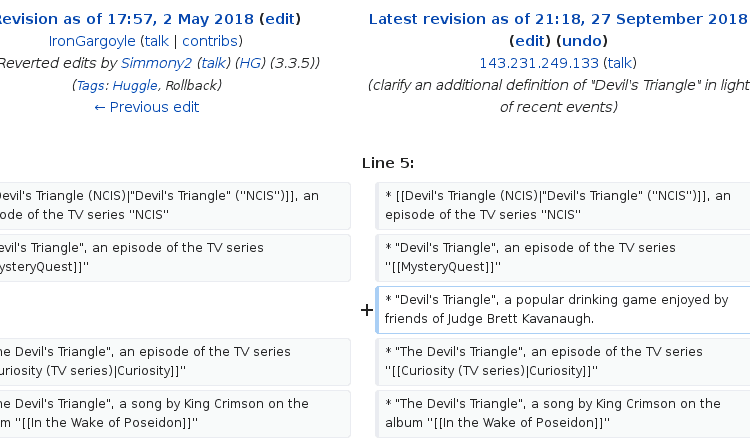 The Wiki edits were first reported by a Twitter account that keeps up with edits from within the house. The first of these edits had to do with Brett Kavanaugh’s strange definitions for words from his High School yearbook. While his responses to “boofed,” “Renate Alumnius,” and “Devil’s Triangle” strained credulity, someone wanted to make them look accurate. Devil’s Triangle, which Urban Dictionary describes as a sexual act between two men and one woman, was edited to reflect Kavanaugh’s claim that it is a drinking game. In addition to the Kavanaugh changes, someone also wanted to get revenge on the angry Senators who ranted and raved throughout the hearing. 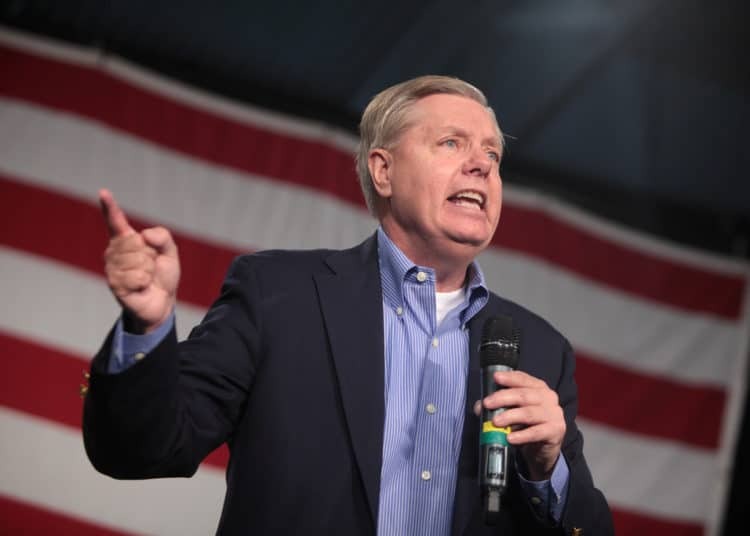 After Senator Lindsey Graham (SC) went off on his rant, he was doxed by someone from within the House of Representatives. Doxxing refers to the release on an individual’s private contact information over the internet. Soon after Graham was doxed, Republican Senators Mike Lee (UT) and Orrin Hatch (UT) were also doxed. The information, which contained their Washington DC addresses and phone numbers was quickly deleted off Wikipedia. According to Gizmodo, the release of private information was reported to Capitol Police who are currently investigating the matter.